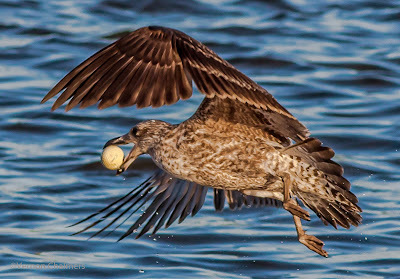 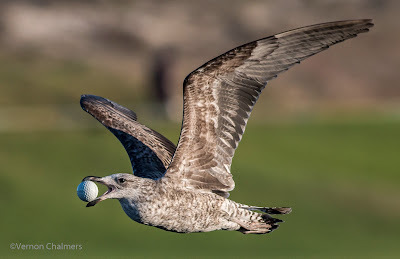 Seagull in the Milnerton Lagoon / Woodbridge Island with golf ball most probably from the Milnerton Golf Course. The activity of dropping and collecting the ball from the lagoon continued for well over thirty minutes. 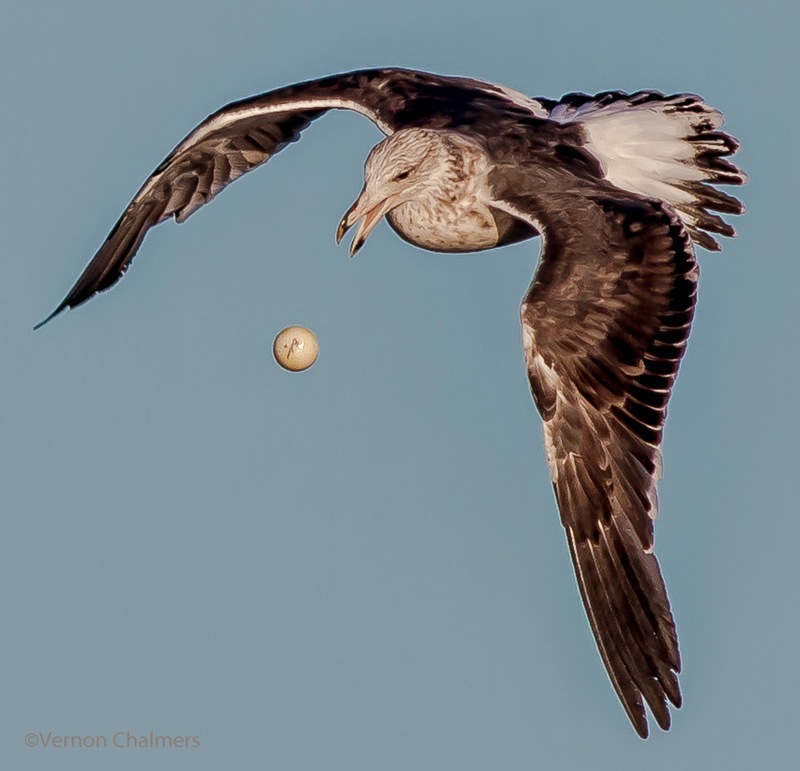 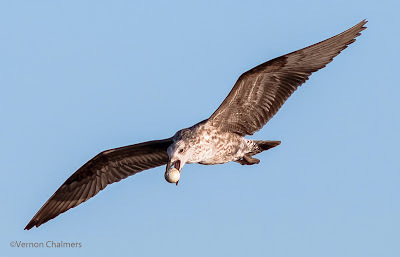 All photos by Vernon Chalmers with Canon EOS 70D and Canon EF 400mm f/5.6L USM Lens (fast shutter speeds 1/1600s).